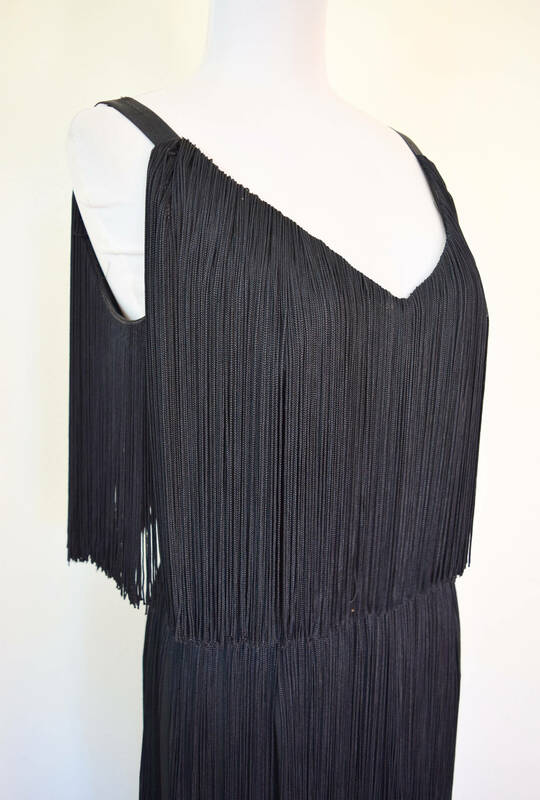 Jet black tiered fringe evening gown with back zipper closure. Fully lined bodice. 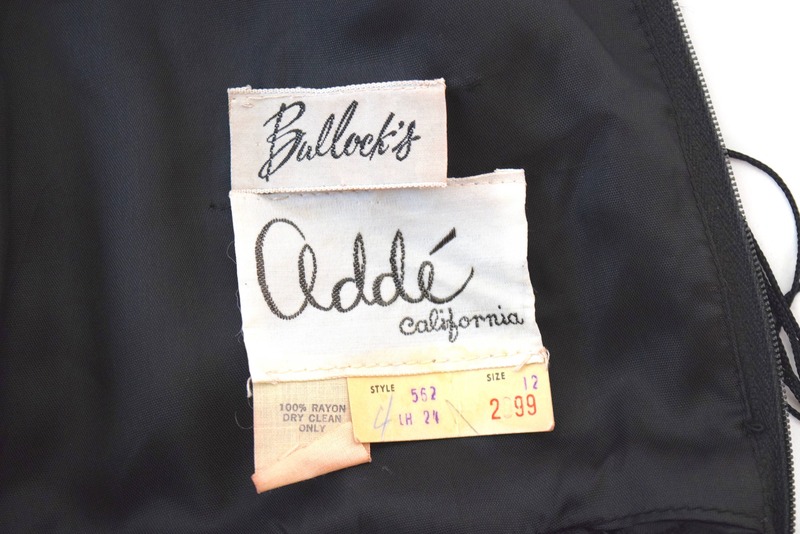 Unlined skirt.